You have options to open these particular settings in Windows 10 that you can choose whichever you feel is easier for you. 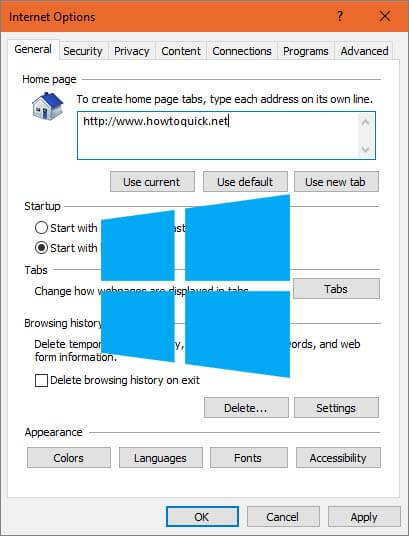 Open your IE browser, go Tools or click on the Settings icon in the upper right corner. In Google Chrome, click on Options (3) dots on the upper right corner then click on Settings. Click on Advance, then scroll down to System. Click on Open proxy settings. 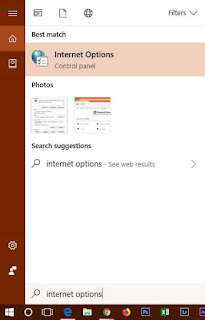 Just type “Internet Options” in the search box then click on one of the results or suggested. Just press Windows key + R then type inetcpl.cpl then hit Enter. Click on the Windows key icon, scroll down to Windows System. Click to expand then open Control Panel. The process and steps above may also work on Windows 7 and 8 operating system with a slight difference.